This is SUCH a fun summer meal. I was first introduced to this concept by some good friends in my neighborhood. They had invited us over for dinner one night and taught us how to make pizza on the grill. It was so much fun. 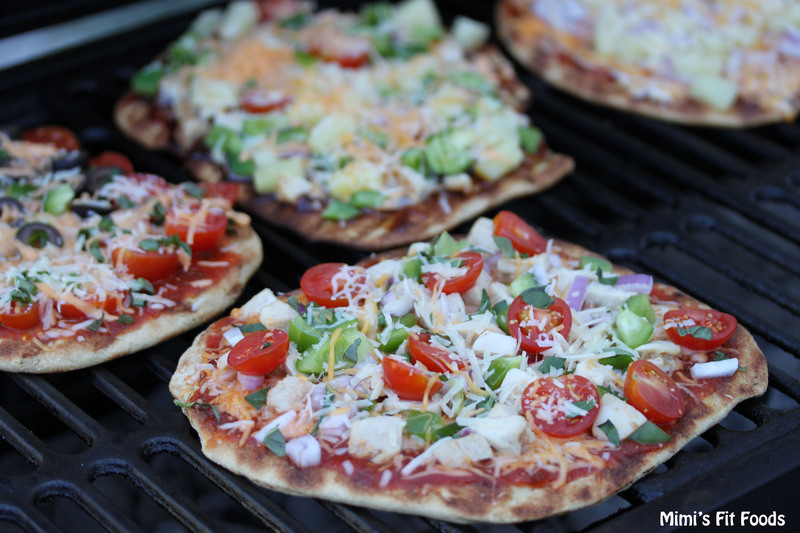 We loved the idea of putting the dough on the grill, and then “decorating” our pizzas with whatever toppings we wanted. We each had our own individual pizza and it was exactly how we wanted it. I thought the concept was brilliant, and I never have grilled pizza without thinking of my good friends (thanks Megan!). Beau recently had a birthday and we decided this would be fun to add to the festivities. I wasn’t sure who would stop in to see Beau that night, but I knew that if anyone did it would be very easy to offer them a grilled pizza. I had dough ready and all the toppings prepared. It worked perfectly and was a lot of fun. The good news was that I had prepared plenty of toppings so Beau and I had grilled pizza again. . . two days later. Bonus! I can only imagine how fun this would be if you had children old enough to make their own pizzas! I think I would have grilled pizza at least one night a week. I usually will make my own marinara/pizza/tomato sauce. It’s healthier, easy to make, and delicious. However, in a pinch I have popped open a bottle of store-bought marinara too (still love me, okay?). The nutritional information is calculated using a homemade version. Because the toppings can vary and not every pizza is the same, I calculated the nutritional information based on the pizza I’ve highlighted in the picture. It basically has diced, cooked chicken and a variety of veggies on it. This is definitely a healthier option when choosing to put a pizza together. Other toppings I have prepared for my guests include Canadian bacon, pineapple, turkey pepperoni, sliced cherry tomatoes, diced peppers, diced onions, sliced olives, fresh basil, and reduced fat cheeses. This usually satisfies all age groups and most of the options are still pretty healthy. So, what are you waiting for!? Go make you a grilled pizza! Tonight maybe? For the dough: Mix dry ingredients. Add lecithin and water. Mix in until dough combines, approximately 1 minute and check for consistency (use your dough hook on your mixer). Dough should be a little sticky. If dough is too dry, add more water. Mix for 5 minutes on a medium speed (this will knead your dough). Spray your countertop with nonstick cooking spray and divide dough into 8 even sections. Shape each section into a ball. Using a rolling pin, create your pizza crust by rolling each ball of dough out to resemble a circle (or as close to a circle as you can). Your crust will be thin. Set aside on a greased surface (I usually use a large jelly roll pan and I stack the crusts with a piece of greased parchment paper in between each crust). You do not have to wait for this dough to rise. Yay! Clean (use one of those handy BBQ brushes to scrape off any residue), lightly oil, and preheat your outdoor grill to medium heat (this could take 10-15 minutes, so it’s a good time to get your toppings ready). If needed, lightly brush the pizza dough with olive oil (usually my crust is already lightly oiled from sitting between two greased parchment papers so I can skip this step). Gently grab two edges of your dough and place it on the hot grill. Close the grill and let the dough cook for about 2-4 minutes, or until your dough has lightly bubbled and has grill marks on the bottom (this could take longer depending on the heat of your grill). Using tongs or a spatula, remove dough from grill. This is when you’ll “decorate” your pizza with whatever you wish. VERY IMPORTANT – when placing toppings on your pizza, make sure you place toppings on the side WITH the grill marks. (You’ll need to put the non-grilled side back on the grill to cook.) Start with 2 tablespoons of sauce, then 2 tablespoons of cheese, then layer with remaining desired toppings. 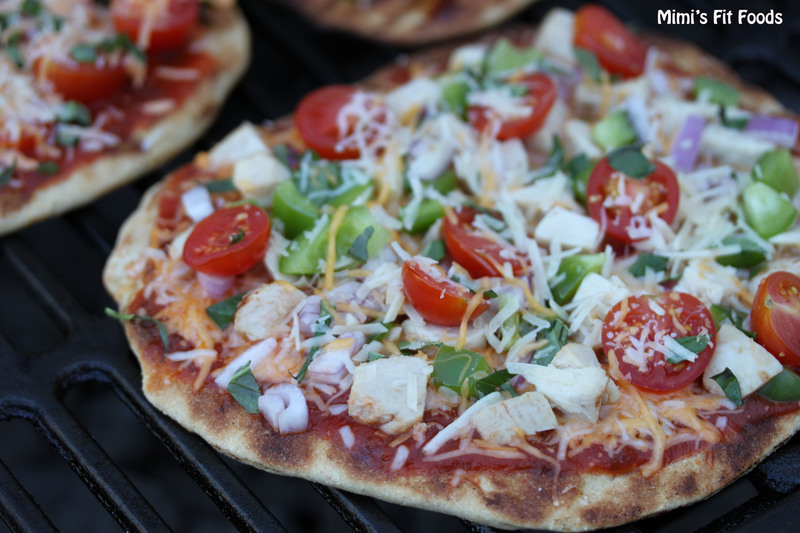 Once all the toppings are on the pizza, place the pizza back on the grill, close the grill (you need to lock in the heat to melt the cheese and cook the toppings/crust), and cook for another 2-6 minutes. The heat of your grill will determine the length of time it will take. Your pizza is done when the cheese is melted and there are nice grill marks on the bottom of your crust. I love all the details … this will be fun and tasty!